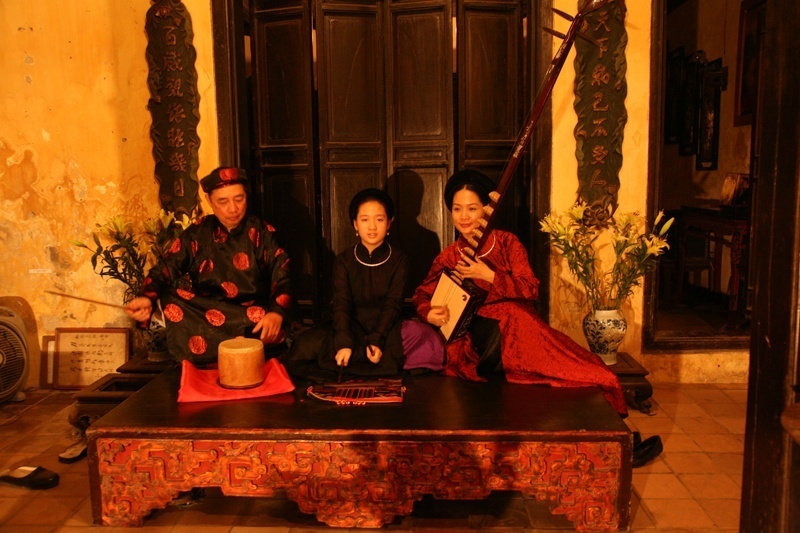 Fans of Vietnamese ca tru (ceremonial singing) traditional music flocked to a small art gallery in Ha Noi on Thursday night to enjoy the unique genre's sweet melodies. Entitled Ca Tru – Gin Giu Cho Muon Doi Sau (Ca Tru – Preserve for Our Next Generation), the show was put on by ca tru traditional band trio Ca Tru Thang Long (Thang long is the old name of Ha noi capital). The band includes 83-year-old singer Nguyen Thi Chuc, dan day (long-necked lute-like instrument with three silk strings and 10 frets) player Nguyen Phu De, 88, and their student, singer Pham Thi Hue. 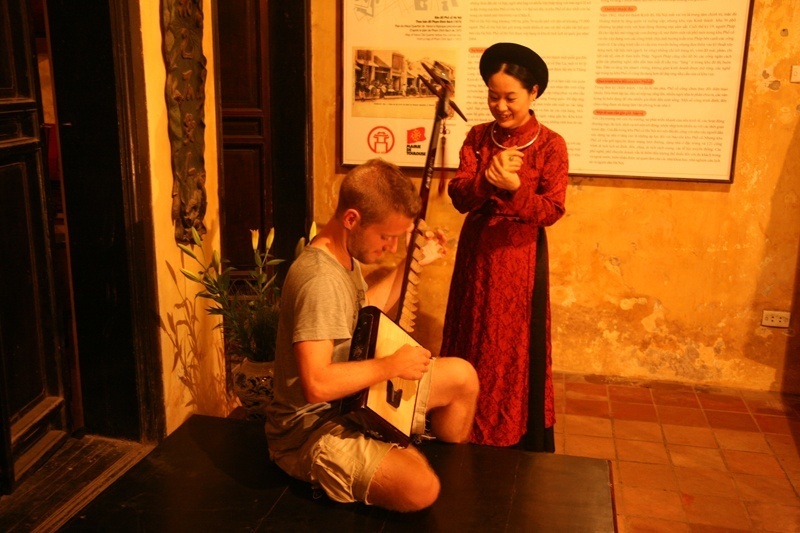 "The performance is a way to vividly preserve this unique traditional folk genre, which is a part of our cultural heritage," said well-known ethnomusicologist Professor Tran Van Khe. According to singer Hue, different reasons encouraged her to set up the band. "The band not only gives us opportunities to practice and share experience, but we also bring the genre closer to audiences. Ca tru is in danger of extinction along with an ageing generation of elder artisans, who own most ca tru treasures. 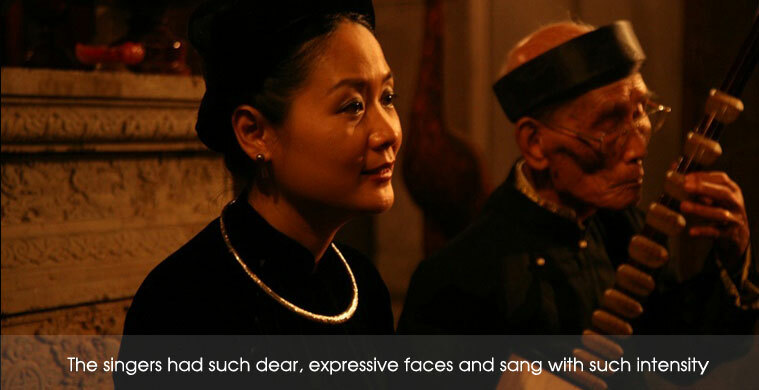 I hope younger generations will find the beauty of this folk music genre through our performance," said Hue, 40. Ca tru first appeared in the 11th century and was performed at royal receptions and religious rituals. It was later performed more widely in singing parlours. The style combines poetry and music and uses a variety of traditional melodic forms. "We want to replicate this ca tru performance form because it was popular among our ancestors. The house performances of ca tru are not controled by rules; that's why performers and audiences can connect. Both of my teachers used to sing at these houses," Hue said. During the performance on Thursday night, the trio performed seven ca tru songs and extracts, include Tieng Duong Tranh, which is considered the oldest song of the genre. 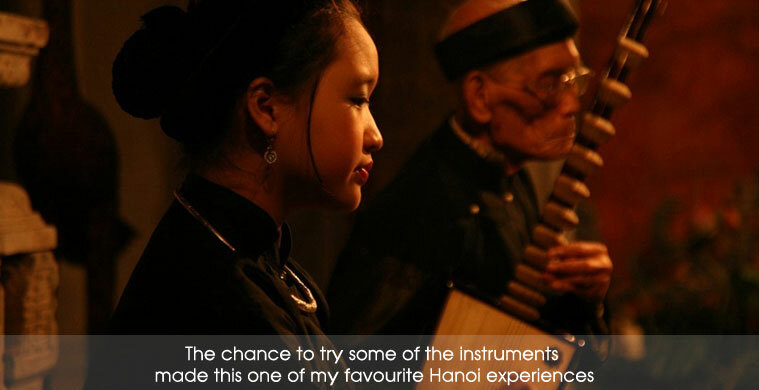 Hue has spent 14 years studying at the Ha Noi Conservatory of Music's Traditional Music Department and now lecturers there. She is not only a ca tru singer but is also the first-ever female instrumentalist to play the dan day – one of three necessary instruments to perform ca tru (the others are a small drum and phach, a percussion instrument made of bamboo and played with two wooden sticks). "Experiences I had at the Conservatory of Music helped bring me closer to ca tru in the past year. Now I feel very confident because I always have my teachers beside me in performances," she said.